Gypsy and Traveller Empowerment Hertfordshire (Herts GATE) started 10 years ago in Josie O’Driscoll’s front room. We are a community-led organisation, who work to increase understanding between Travelling communities and the wider population in Hertfordshire. We offer community advocates to support Gypsies, Roma and Travellers in Hertfordshire to support their inclusion and rights. We’re committed to developing the capacity and skills of Gypsy, Roma and Traveller individuals in such a way that they are better able to identify and help meet their needs and to participate more fully in society. We also promote activities to improve awareness and understanding. One of our main achievements in the is the Report racism GRT website. Hate Crime has increased since the referendum on Brexit. 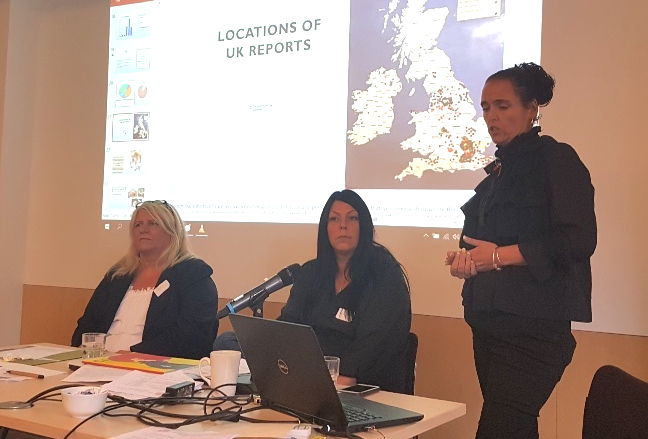 The website is funded by the ministry of housing and provides powerful data about the Hate experienced by Gypsy, Roma and Traveller communities. Online hate is the most common with over 400 complaints over the past year, with a high number of complaints of discrimination. Map of Hate Crime shows the areas where most reports come from, though this may be to do with the organisations in those areas encouraging people to use the site. GATE has made CPS community impact statements when cases have come to court and there have been two convictions for on-line hate crime. A police officer was reprimanded for saying a trainer was an educated Gypsy. The site allows anonymous reporting; most cases have not been reported to the police either because they are to common or because the victims don’t have confidence in the police. We need to work together: there are parallels to the Black Lives Matter movement. Amanda started as an administrator and is now Hate Crime Officer, giving Hate Crime training to 1000 Hertfordhsire Police officers. At one of the training sessions one officer identified himself as Gypsy. 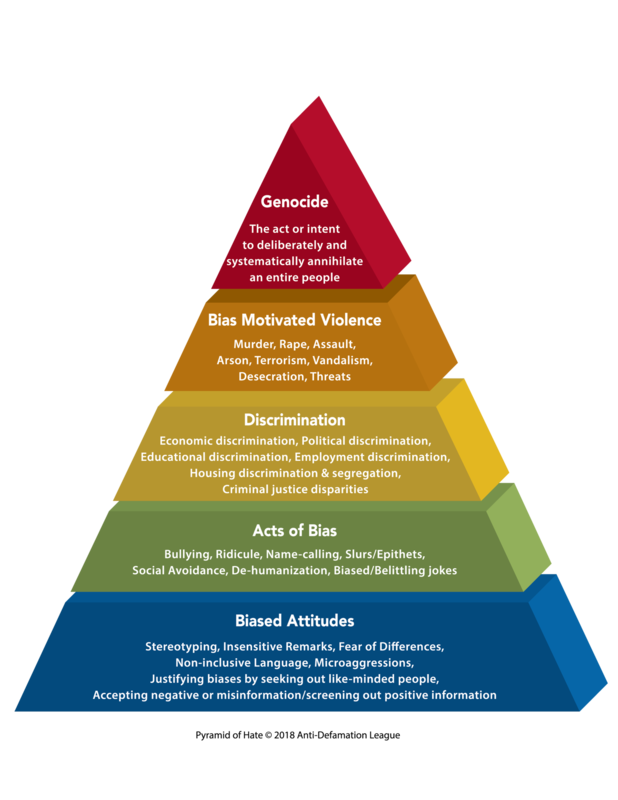 Sherrie explained how they draw connections in their training between low levels of hate crime and genocide using the Pyramid of Hate. In the current political climate, it isn’t difficult to see how far down that road we have travelled. Gate Herts has also organised visits to Auschwitz for young Travellers from the UK to coincide with Roma Holocaust Memorial Day, August day. The visits had a huge impact on all concerned. Josie and Sherrie go into schools to raise cultural awareness about Hate Crime, GRTHM and Restorative justice.